In the presence of more than 1,000 stakeholders in business, the ESS and civil society, the best CSR innovations and CSR approaches were highlighted. 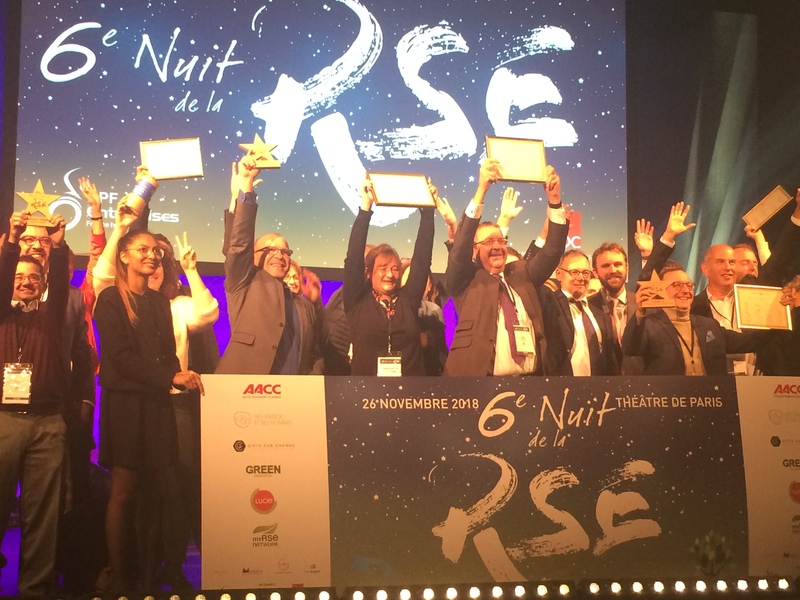 In the category, “Best CSR Innovation” organizations that created an innovative activity, product, service or project in CSR were recognized. 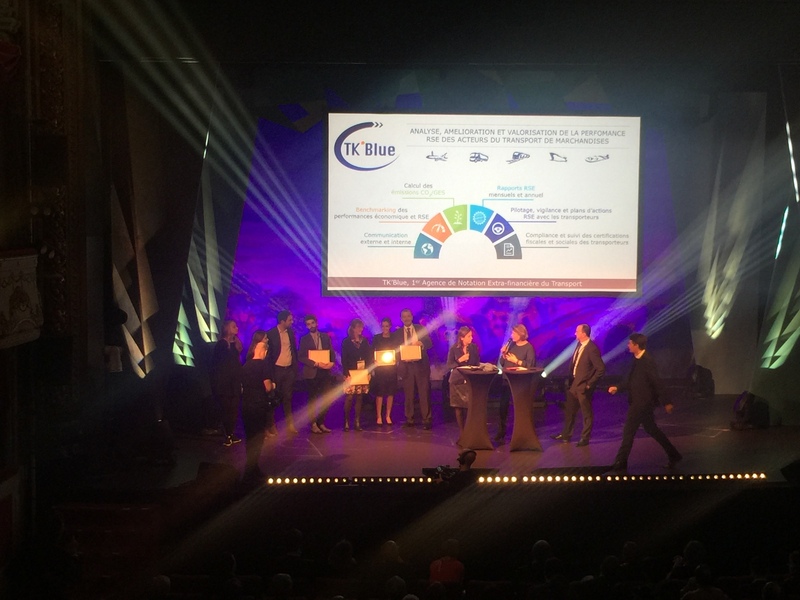 TK’Blue Agency was awarded with the Silver Award, just behind Malakoff Médéric. TK’Blue was distinguished on this night because its service meets the growing demand of freight transport operators by offering a CSR performance index and guaranteed economic performance. By providing a global platform of services since 2012, organizations can select, promote and measure their precise societal impact of their eco-responsible choices and can collectively share their benefits in a dynamic and sustainable way. TK’Blue has been able to meet this unanimous demand and develop internationally. 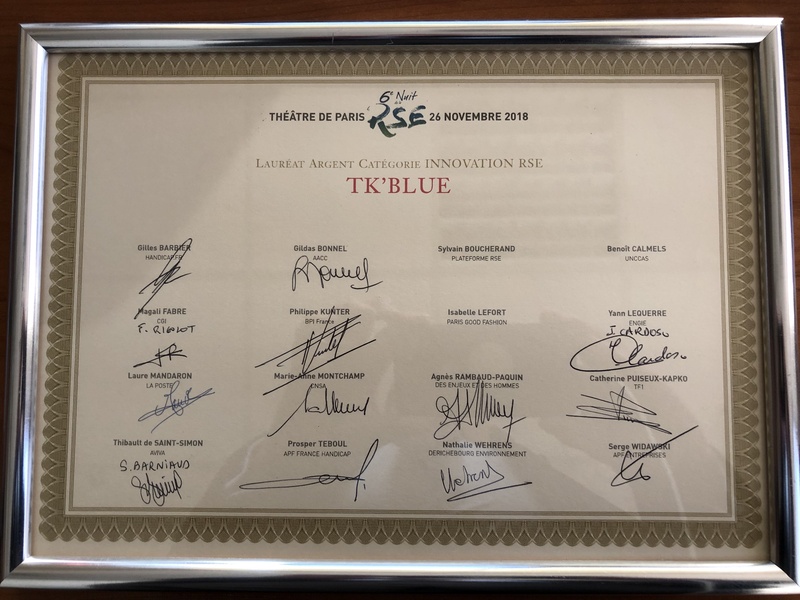 For all TK’Blue Agency collaborators, being rewarded by a jury of CSR experts is a tremendous achievement and encouragement to further develop TK’Blue! The new Rating platform is online!